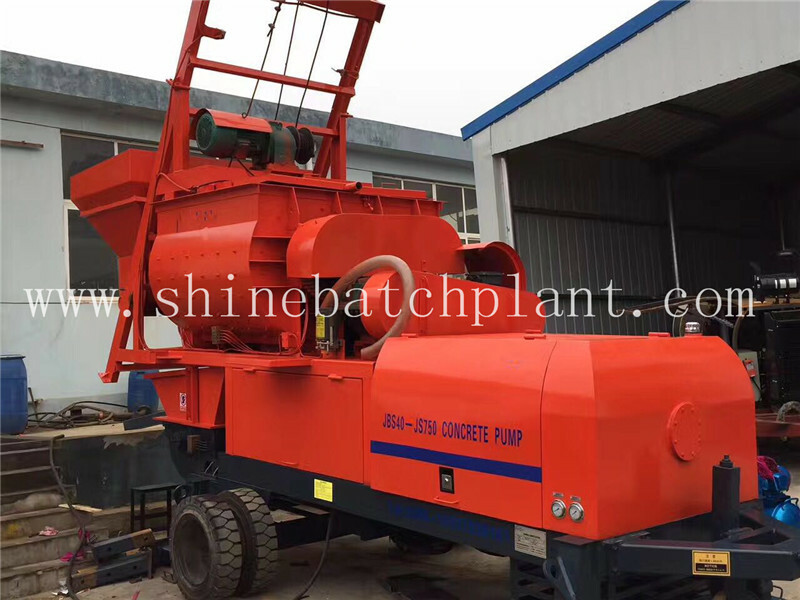 Concrete pump for sale with JS Mixer is a very convenient small concrete construction equipment. 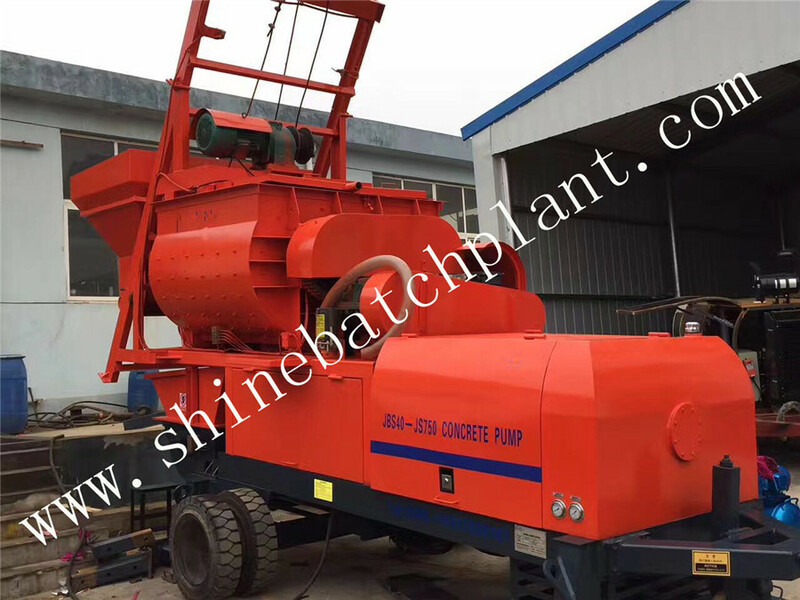 The electric/ diesel engine concrete cement pump can mix the material directly instead of using Concrete Batching Plant or Mobile Concrete Batch Plant. 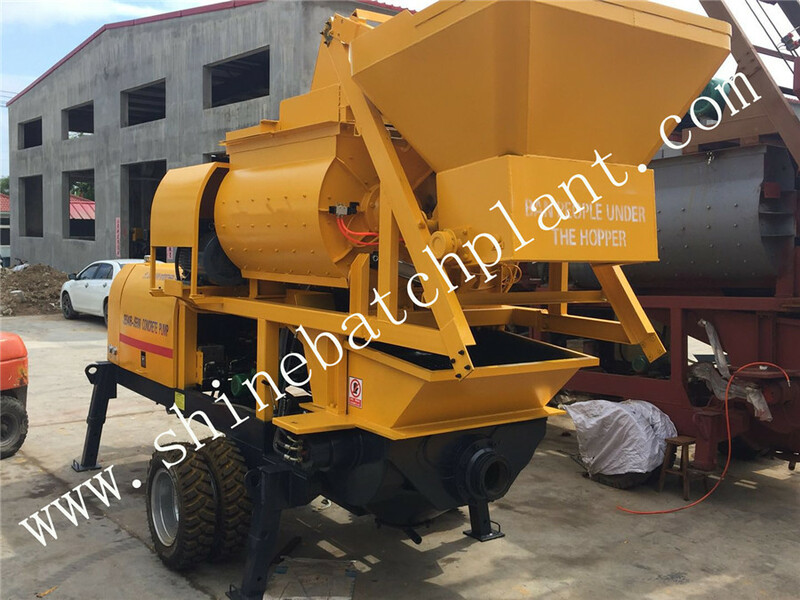 Concrete Mixing Plant or Mobile Concrete Plant normally is used for medium or big project. 40 mobile cement mixer pump is mainly used in small project or personally. The operation is very convenient and it is mobile. It is very popular in Southeast Asia market or africa market. 1. Double open hydraulic loops (pumping hydraulic circuit is independent of distributing hydraulic circuit) with two pumps, makes the whole hydraulic system much simpler. The reliability of the whole system is also much higher as well as the components` life is prolonged greatly. This is convenient for judgeing and removing trouble. 2. Large valve changing direction, makes the main pumping loop quick response, small leakage, good stability, high reliability and high resist contaminative capability. Looking for ideal Concrete Mixer Pump For Sale Manufacturer & supplier ? We have a wide selection at great prices to help you get creative. All the Cement Pump For Sale are quality guaranteed. We are China Origin Factory of Cement Mixer Pump For Sale. If you have any question, please feel free to contact us.